Up&coming eighteen year old star Shane Harper is true quadruple threat. By the age of ten the singer, songwriter, actor and dancer already excelled in all four fields; by the age of fourteen he was stepping out into the limelight as one of the principal dancers on High School Music 2, the highest-rated Disney Channel Movie of all time. 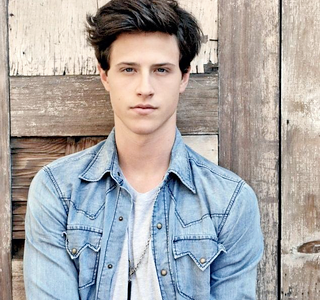 Since then he's nabbed a supporting role on the big screen (in 2010's Flipped), a lead role as lead dancer on Nickelodeon's Dance On Sunset, a guest-appearance as 'Fidel' on Wizards Of Waverly Place and a highly popular recurring role on Disney's Good Luck Charlie. Having accumulated such diverse credentials on his resumé Harper is more than well set-for continued success as an actor and dancer, allowing him to turn his focus to his music. Teaming up with Adam Anders, the renowned musical producer of runaway hit show "Glee", Harper recorded his self-titled debut, released this past April. It's a solid, cohesive debut, nice, easy-to-listen-to Pop record you can sing along to in your ride on a summer's day. Or something like that. With Top 40 radio dominated by rent-a-rapper and estrogen, it's refreshing to hear radio-friendly fare with a male vocal. An actual male vocal, not auto-tuned computer vocals. And there's only one rap feature, on album highlight "I Know What I Know", which is pretty much Shane's breakthrough hit waiting to happen. Other highlights are the anthemic love ballad "Hideaway", the slick "Just Friends", the Jason Mrazesque "One Step Closer" and upbeat album closer "When I Look Into Your Eyes". The whole album and current single "One Step Closer" are available on iTunes now. Get it, it's worth it. Fantini: Hey Shane, what's up? Shane: Hi, how are you? F: I'm great man and you? Shane: Doing well thank you! F: Great! Where are you right now? F: Sweet. Is that where you grew up? Shane: Well, I actually grew up in Orange County... moved to LA about a year ago. F: Cool. Was it difficult to adapt to a new home? Shane: It wasn't that bad for me actually. Most of my friends live up here and I'm still with my family, so the transition was easy. F: How did you start off in showbiz? What would you say was your "big break"? Shane: I began dancing and doing musical theatre when I was 9 years old. I started dancing professionally at age 13 after I was discovered at a dance competition by a local talent agent! F: Sweet! What's your favorite style to dance? Shane: So hard to answer... I love all styles: Tap, Jazz, Hip Hop, Modern, Ballroom, Ballet! F: Which one would you say you're best at? Shane: Good question... I'd say hip hop. It was my first love so it makes sense. F: So your debut album dropped last April. I've had it on replay all day and it's pretty tight! Well done. What was it like to record your own album and finally put it out for the world to hear? F: Awesome. Talking of blessed, I've noticed you post a lot of spiritual or Bible quotes. Are you a particularly spiritual guy? Shane: I grew up in a Chrisitan home.... My faith is very important to me. I can't imagine doing this industry without it. F: That's beautiful man...One of your chief collaborators on your album was Adam Anders, who's the musical producer of "Glee". If someone were to offer you a role on a show like that - a big hit show, millions of viewers - but a role that required you to play a homosexual character, would you be forced to turn it down? Shane: I believe for now i'm definitely going to stick to heterosexual roles. Not because of prejudice or religion.... that's just something I'm personally not comfortable taking on. F: [laughs] So...going back just a little bit..I think it's highly admirable when someone comes along who can be successful in Hollywood, or any aspect of showbiz, and stay true to themselves and their beliefs. Do you think to be a good Christian it's necessary to turn down any job or gig that would be contrary to your beliefs? Especially as an actor, do you worry you might shoot yourself in the foot and end up stalling your career by having to turn down "meatier", more dramatic/controversial roles? F: [laughs] Incredibly true. Do you worry about how fame and money might change you? F: Awesome. So you've been all over touring with your album - first with fellow teen stars Greyson Chance and Cody Simpson, now with Miranda Cosgrove of "iCarly" fame. What's it been like? Shane: It's been wild. There's nothing like playing music live for my fans! And the people I get to tour with have all been incredible. F: Do you stay in hotels, or ride around in a tour bus? Shane: Van, actually. [laughs] ...A van and hotels. 16 passenger. It's swanky. F: [laughs] I was going to ask if you slept in the van. F: Swanky is nice. Do you have any major luxuries or hobbies that you allow yourself to spend big dollars on? Shane: Um, not really. I spend a lot of money on books. [laughs] And clothes. F: Educated and well-dressed - best way to be. F: Talking of touring with Greyson Chance, and Cody and Miranda, and your acting roles on Disney Channel and so on, I think it's fair to assume the majority of fans are usually quite young, definitely a few years younger than you. Do you envision your music growing up with your fanbase, is that a demographic you'll always target or do you see yourself transitioning into a more mainstream, Top 40 star as opposed to a Disney star? Shane: I think if the music is good there's no need to force a transition. I believe it will happen naturally, as my fan base grows with me. They might be a few years younger but it really doesn't matter. I'm a fan of John Mayer Jason Mraz etcetera and those guys are quite a bit older than I am. F: Awesome stuff. You can definitely hear a Mraz influence on your single "One Step Closer". 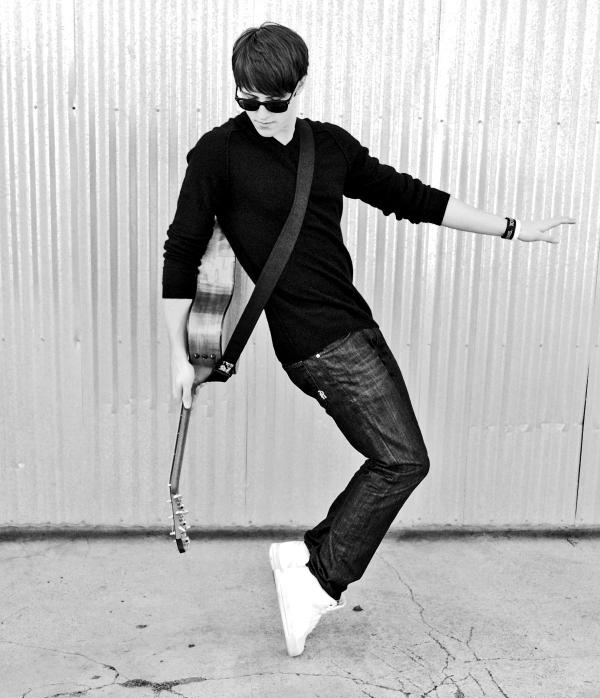 Your track "Just Friends" kinda reminded me of early Jesse McCartney too. Shane: Thank you so much! That's great to hear. I loved early Jesse.... good tunes. F: Likewise! So going back to your album, what was the actual process of recording it like? Did you do it independently, with a label? Did you have a big team around you, did you write any of the songs yourself? Shane: I wrote Dance With Me and Just Friends alone. Those songs actually helped me get a deal with Adam Anders. He owns AMi Records, which is the label I'm signed to. It's an independent label but it's a wonderful fit. Fantini: Great - what a person to be affiliated to! He's definitely a visionary when it comes to music and business and putting those two together. Fantini: You've got two collaborations on your album, a rapper called Prophet on "I Know What I Know" and a song with teen actress/singer etc etc Bridgit Mendler, who in some ways seems like a female version of you. How did those two collabos come about? Shane: Well, when we were writing Wait for Me we all thought there should be a female singer on the track. I immediately thought of Bridgit! I asked her and she gladly came in and recorded her parts! As for the rapper, [laughs] I just felt like it might be kind of fun and different to have that on one of my tunes. The producer of that song (Morgan Reid) hooked me up with prophet... He killed it.... He really brings a lot to the song! Shane: I'm so so sorry but I'm going to need to wrap this up.... I have another interview waiting. Fantini: No problem! Thank you so much for taking the time man. Any final words? Shane: I'm set man. Thank you again so much! Really, it's been one of my favorite interviews! 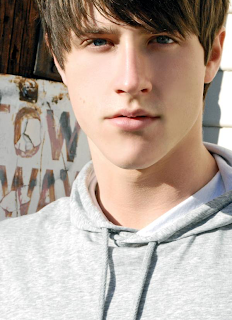 Be sure to follow Shane on Twitter @TheShaneHarper and myself @FOTPBlog. For more information on him and his music check out his Official website, like him on Facebook and check him out on YouTube.